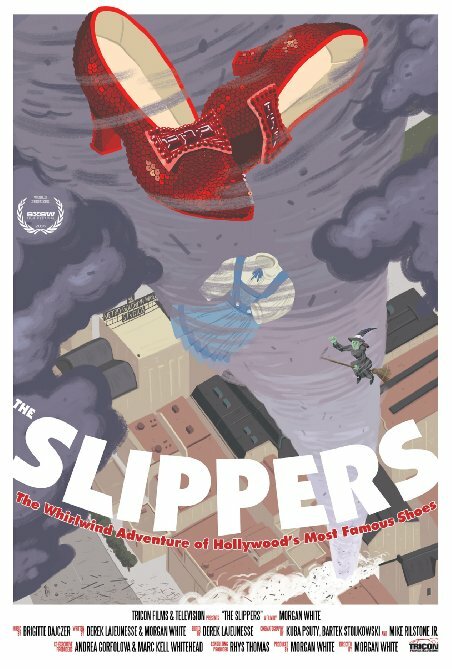 The Slippers is a great, new documentary about the iconic ruby slippers from The Wizard of Oz which recently debuted at the SXSW festival in Austin, TX. I love all things Oz and as a historian of the subject, there’s always more to learn. And with this film, whether you’re a casual fan or a viewer, like me, to whom some of the info covered in this doc is familiar, all info is presented in a compelling, interesting and entertaining way. The life of the titular slippers is almost as fascinating as the story in which they first appeared on screen. What makes something iconic? There are many answers to this question but the greatest justification can be illustrated in the almost constant attention and reincarnation of a subject. Oz is continuously rejuvenating itself. For all we know of the making of the 1939 Judy Garland classic, there’s still fresh info to uncover. I, myself, am currently directing a documentary about the songs from the film, The Sound of Oz, which will expose stories not widely known about the Oscar winning songwriting duo Yip Harburg and Harold Arlen. As for The Slippers, what works so brilliantly is it’s central focus on the most magical costume piece in movie history. Beyond that, true Hollywood drama delightfully unfolds, yielding the history of MGM, the golden era of film and the making of the movie, the lesser known tidbits about how the shoes were recovered in archive, and by whom; the frustrating drama, jealousy, competition and backstabbing among Hollywood elite costume collectors (or hoarders); and the outrageous suspense surrounding one pair stolen – and still missing – from a Minnesota museum. All weave together the legacy of Dorothy’s clickers. 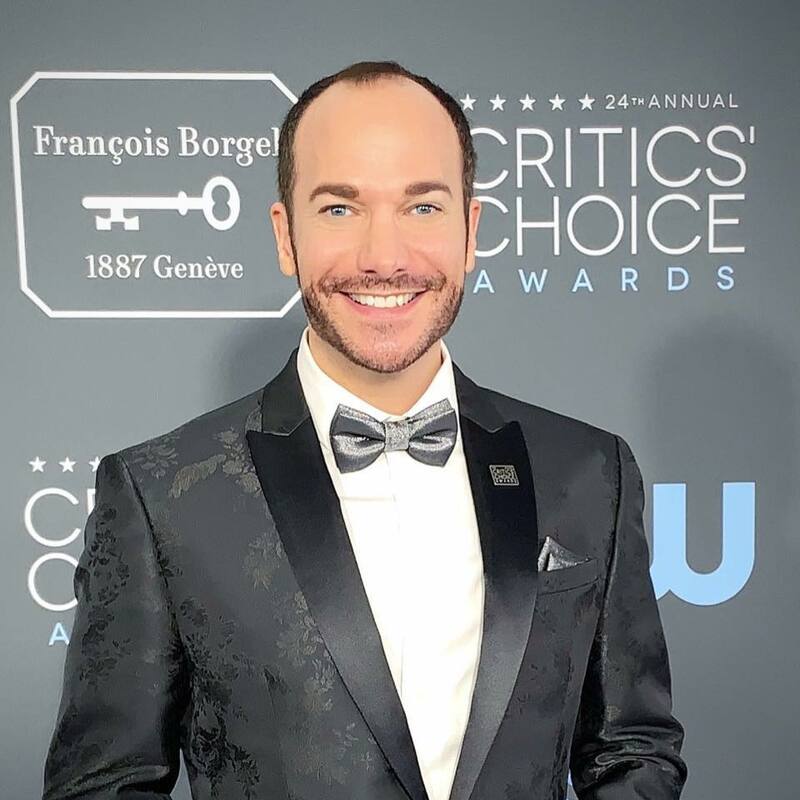 Directed by Morgan White, the film features exclusive interviews with Oz and Judy Garland Historian John Fricke, Debbie Reynold’s son Todd Fisher, and John Henson, the late ruby slippers expert and replica-maker, to whom the film is dedicated, among others. The doc shines brightest when dealing with the shoes. But overall is effectively scored with music reminiscent of late 1930s cinema. It would have benefited from higher quality footage of the MGM film, along with actual song clips – although “Over the Rainbow” does appear briefly. I really enjoyed the light shed upon Kent Warner who discovered the shoes and discerningly doled out each pair, keeping one for himself. It is the stuff of great legend, becoming that of an iconic item. Tracing the path of each pair is intriguing and one can’t help but become frustrated at the thievery involved in the missing pair. As far as movie costumes or props go, no other item carries the same powerful, magical provenance as the ruby slippers and they’ve come to not only symbolize the Oz film, but in some ways, movie-making itself; clearly an ideal shared by Steven Spielberg and Leo DiCaprio who put up cash to help acquire a pair for permanent display in The Academy Museum of Motion Pictures in Hollywood. This is an excellent doc for any Oz fan or lover of movie pop culture.